The Kingston Public Market is a piece of history tucked away in the beautiful downtown core right behind City Hall in Springer Market Square. One of the oldest markets in Ontario (officially founded in 1801), it is filled with the ambiance of joyous spirits, smiles and chatter. 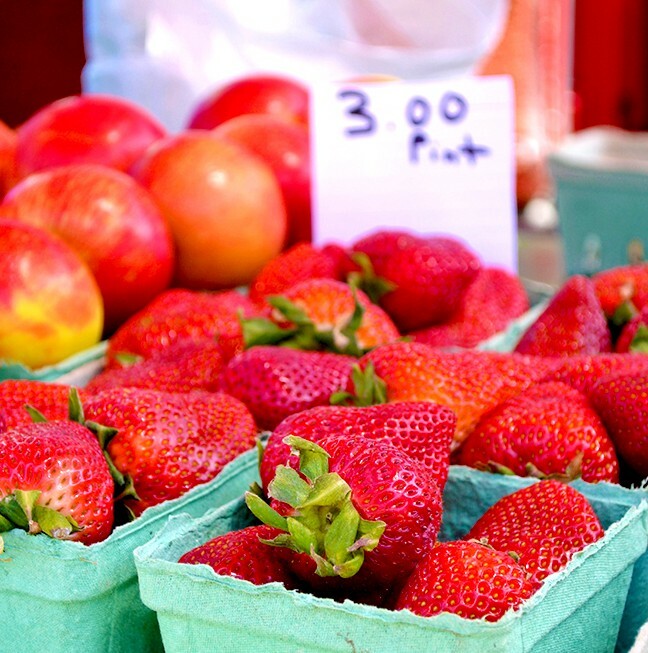 The Public Market’s welcoming atmosphere provides a sense of community to Kingstonians, and of course, homegrown produce, food, and other unique items you typically can’t find anywhere else. Open Tuesdays, Thursdays and Saturdays – April through to November – summer is the prime time to visit a full set of vendors selling the freshest local produce, handcrafted jewelry, garden plants, flowers, and prepared foods. 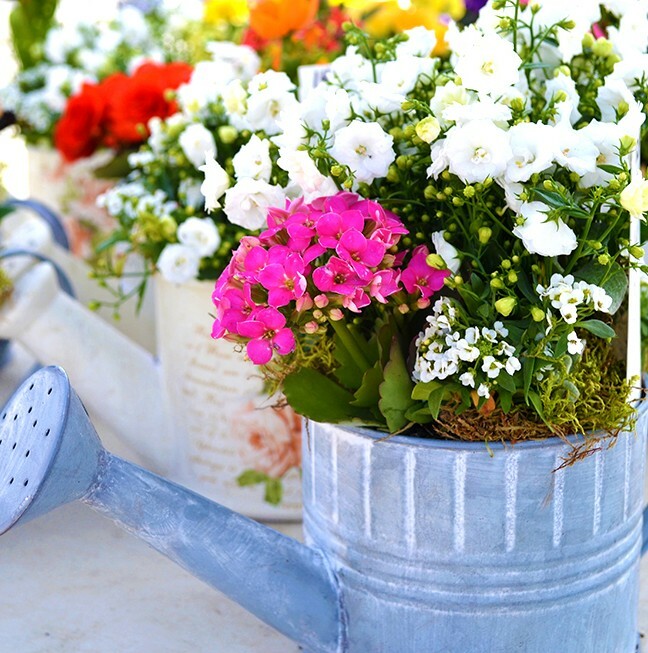 Unique flower arrangements made by Simple Country Pleasures. A perfect snack after a bike ride or picnic by the waterfront. 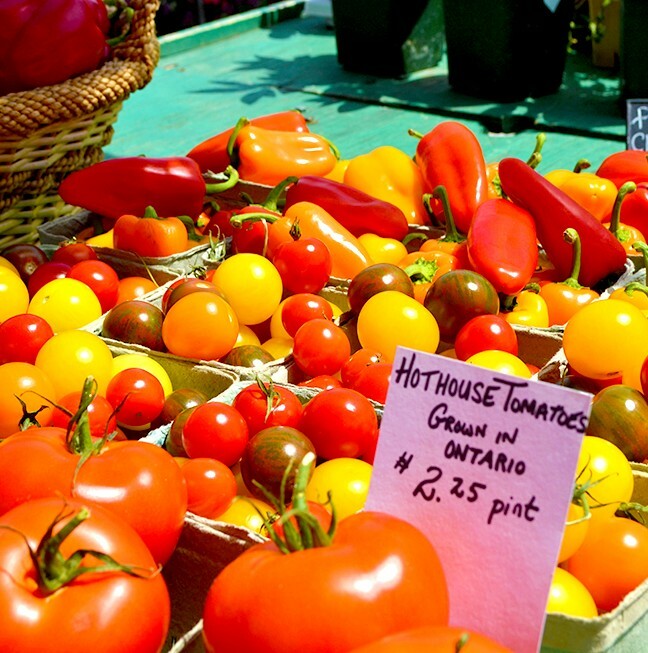 Take your pick from freshly harvested heirloom tomatoes, luscious strawberries, authentic homemade butter tarts, or essential oils and soaps handcrafted by Kingston’s finest. 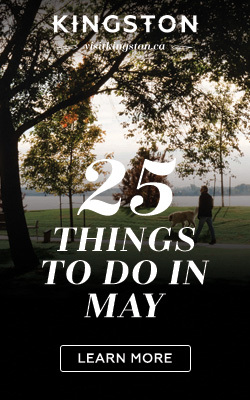 Whatever you’re after, you’re most likely to find it at the Public Market. Rows of booths stand side by side, and as a market visitor, you have the ability to learn firsthand about the array of products being sold. There is a sense of pride in knowing the origins of your local finds, and a sense of community that comes from shopping locally and supporting your neighbours. Vibrant colours of local produce are seen in every corner! Fresh tomatoes are great for pizza sauces and then topped with fresh slices of mozzarella and herbs – all procured from the Public Market. 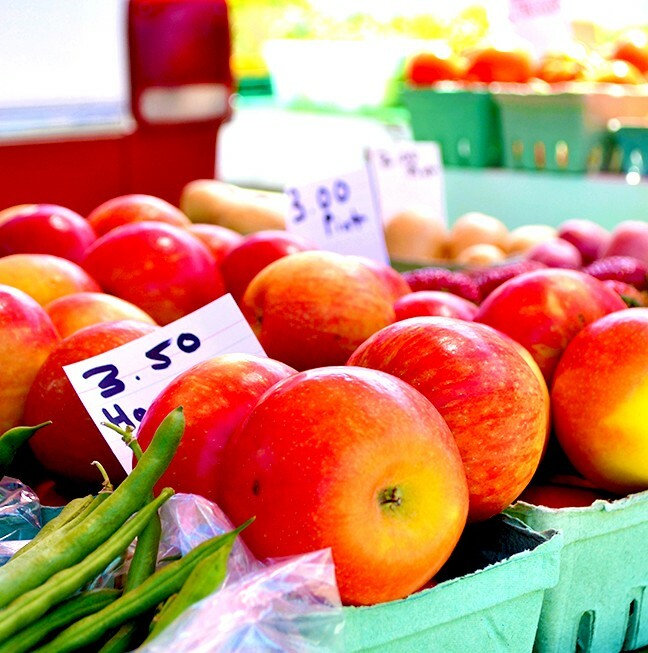 There’s no better place than the Kingston Public Market to pick up your picnic essentials before spending a leisurely day at Wolfe Island’s Big Sandy Bay. Or, if you’re growing tired of standard take-out fare and want to spoil yourself with all the fixins’ for savoury, locally-produced dinner – look no further than your local artisans at Springer Market Square. 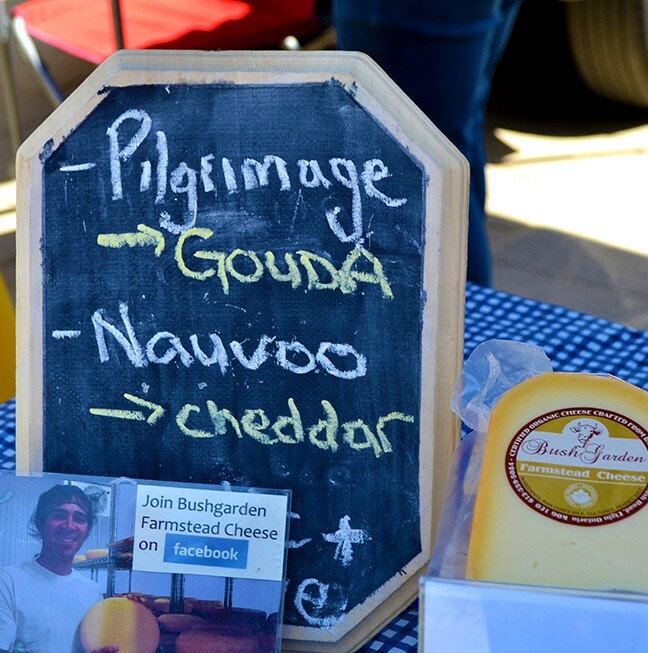 A new addition to the market – Bushgarden Farmstead Cheese! It’s really gouda! As the warmer weather embraces Kingston, the square will become an even livelier hub of activity with local chefs participating every Saturday in free cooking demos, July through August. Be sure to visit if you want to learn how to cook deliciously impressive meals with local food right from the market. They will further share their knowledge and passion for local food and ingredients with visitors through unique recipes, scrumptious samples and engaging discussions that include how to pick the best and most flavourful products seasonally. Fare on the Square in early September is another great addition to the artisanal scene where local restaurants and market vendors team up to produce locally sourced samples to please your palettes! 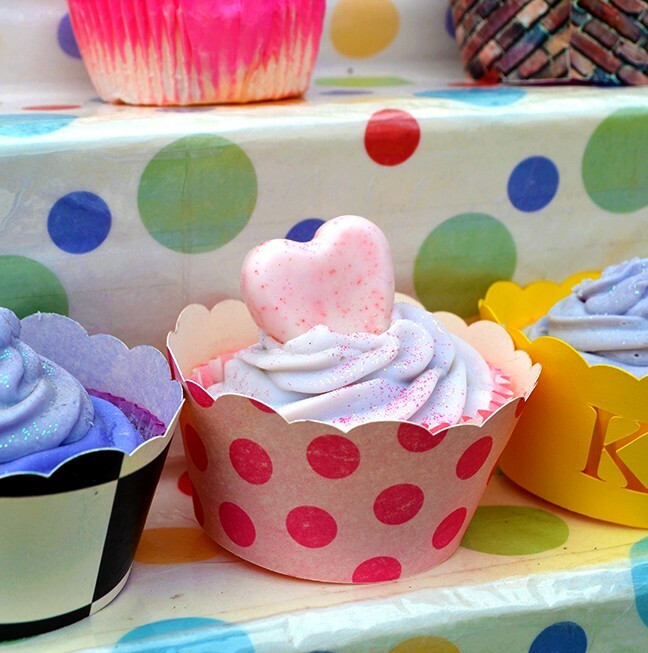 Soaps take the shapes of beautiful cupcakes by the Kingston Soap Company. 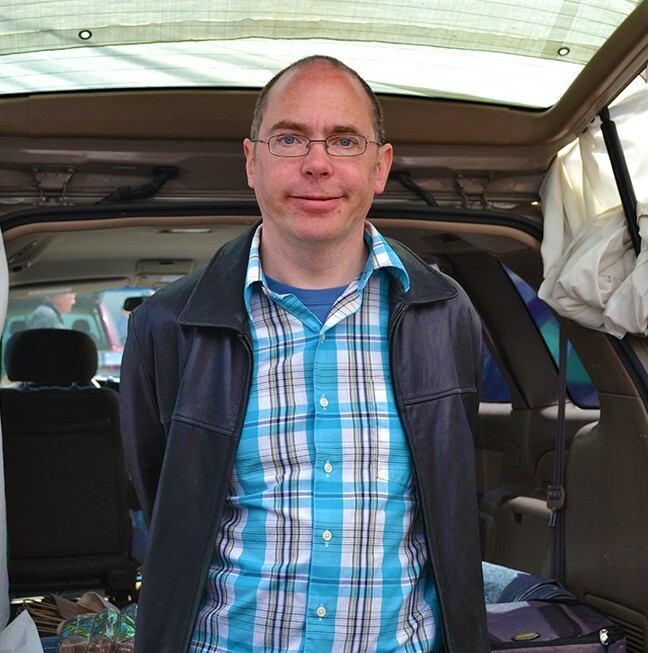 Robert Jones – Owner of Kingston Soap Company offers a variety of all-natural, handcrafted olive oil-based soap and cosmetic products. The Kingston Public Market is a hallmark of the city and an experience that should be savoured by locals and visitors alike. Shop local and visit them this weekend!